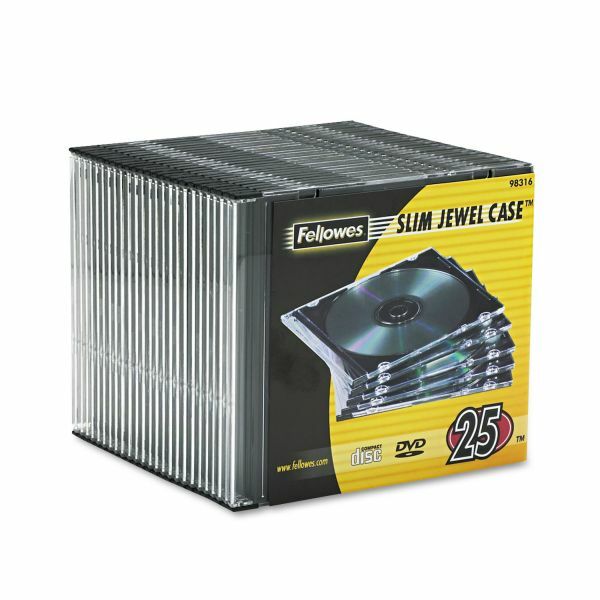 Fellowes Slim Jewel Case, Clear/Black, 25/Pack - Durable, slim replacement cases hold CDs/DVDs in half the space of a standard jewel case and include an area for an insert booklet. Cases are made of plastic. Each jewel case stores one CD/DVD and booklet. Protective ports and spines prevent damage to CDs/DVDs. Jewel cases are 100 percent recyclable.